2015 is a year of exciting changes for Liisa Sefton Images. I want to serve you even better so I'm shifting slightly to provide you with a more personalized level of service. Part of this service includes a private screening of your images in my studio where you can view all of your images on a large screen...which is exactly how your images deserve to be seen for the first time. During this session, I'll help you select which images you absolutely love and we'll work together to select the products (print or digital) that best suit your needs. My first private screening and ordering session of the year was this week and the images from this session are on display in this blog post. I loved spending time with the White family. They recently had a baby girl named Sadie who couldn't possibly be any sweeter. 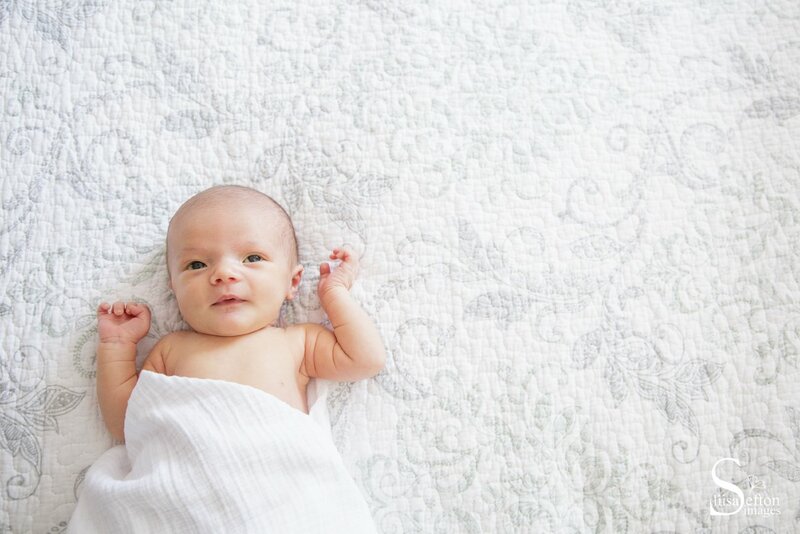 We did the newborn session in their home which gave us the opportunity to photograph Baby Sadie in her surroundings. As for the private screening... correct me if I'm wrong but (despite the fact that my comfy leather client chairs are on backorder) I think dad liked seeing the pictures on the big screen, while mom appreciated my second opinion. Sadie... well, she slept the whole time :) Thank you Clare and Darryl.